Travel west on I-66 to Front Royal, Virginia. Exit to Route 340 South and follow signs for Shenandoah National Park and Skyline Drive. No matter what season or weather condition it is in Shenandoah National Park, Skyline Dr. is beautiful every time you visit. While the month of May is notorious for rain in Virginia, the craving for an adventure couldn't be put out. 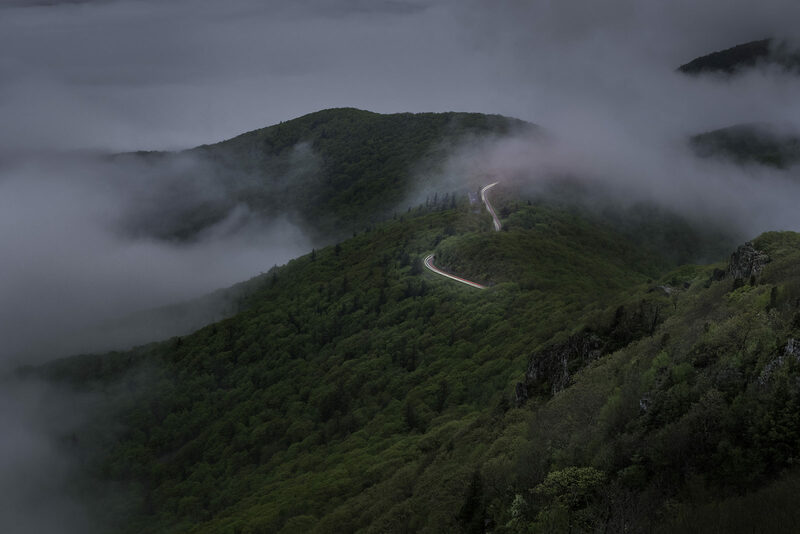 The late spring fogs were swelling and breaking like waves over the peaks of the Blue Ridge Mountains creating windows to only the highest vistas. As my wife and I summited "Little Stoney Man" we knew we had one of the best (and only) views of the park.